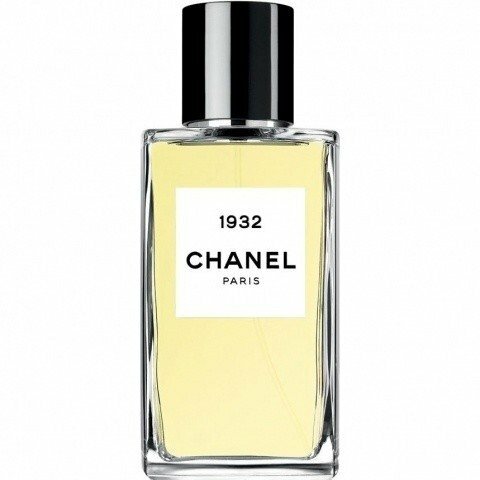 1932 (Eau de Parfum) is a popular perfume by Chanel for women and was released in 2016. The scent is floral-powdery. It is still in production. This is a variant of the perfume 1932 (Eau de Toilette) by Chanel, which differs in concentration. The pears still seem to be missing... Cat cuddle factor but still present! Soo, after trying and describing the EDT of this fragrance last week, it's now the turn of the newer EDP, which apparently will (or has) replace the EDT, as the EDT is no longer sold. In the heart, the fragrance remains powdery, floral and sweet. Aldehydes are also perceived, which makes the fragrance appear a little more mature. And now you can smell Ylang-Ylangs more precisely, which make the scent a bit heavier and sultry. Strictly speaking, the fragrance smells almost like the EDT from the heart note onwards, because if you don't really concentrate on the sprayed area, the differences will hardly be noticeable in contrast to the top note (whose differences were also only slight). I would say that here the jasmine still seems to be stronger than the lilac and that the EDT, as I said, is the other way round. The Sillage rises even more with time. The base remains the same. The fragrance is still floral and powdery-sweet and slightly sultry due to the Ylang-Ylangs. The musk smells a little stronger. A little later there are resinous notes like frankincense and opoponax, but as with the EDT of the fragrance, I wouldn't have noticed these notes without a fragrance pyramid, because they are simply mixed too much with all the soft notes. The Sillage is here a clearly noticeable difference to the EDT, because I find that the EDP radiates here much more strongly. This charisma is therefore good this time, so that one can smell this smell better at one and one leaves even a small smell cloud. The fragrance has a shelf life of more than twelve hours, which I always find quite good at this time. The bottle is actually rectangular, but the side edges are slightly curved outwards. The lid is cylindrical, black and has the Chanel logo on the upper side with the two interlocking "C" letters. The label is white and square. The bottle is of high quality, in itself quite nice, but a little too simple for my personal taste, but that is always a matter of taste. So, with the exception of some minor differences and the stronger sillage, EDT and EDP differ only slightly from each other, so it should not matter which version you use, but the EDP is more recommendable because of the better sillage. The EDT seems to have been discontinued anyway, so that you don't have much choice which version you want when you buy a new one. As with EDT, this fragrance is also a beautiful, powdery fragrance here, which comes across beautifully feminine and radiates through the aldehydes but also a little more mature and classic, so that although it is recommended to all ladies, but very younger may be less standing ... I think anyway. The cuddly factor of the fragrance remains the same, even if fragrances that are quite powdery might cause some people headaches in the long run, I think, because I've read some of the fragrances here from time to time... I think you just have to try it out. Write the first Review for 1932 (Eau de Parfum)!